Out of print. This pattern was available for $4.99. Available again for a limited time. 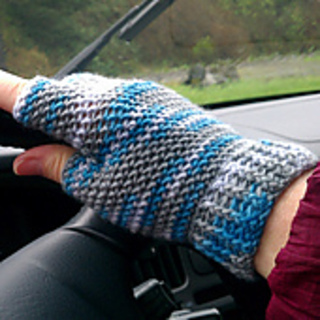 These gloves can be made with or without the separate half-fingers. 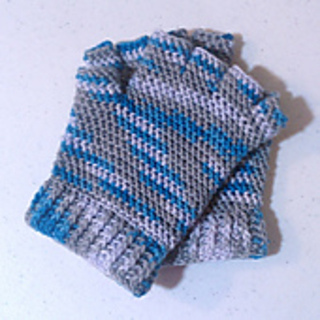 The body is made with a modified half-double crochet stitch – the resulting design reminds me a bit of the knit garter stitch. 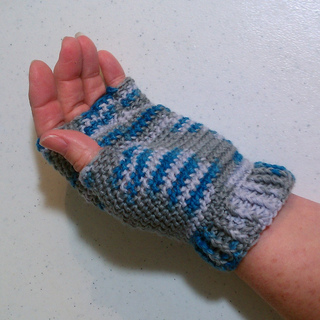 It’s a firm, textured stitch but still has some stretch to it. 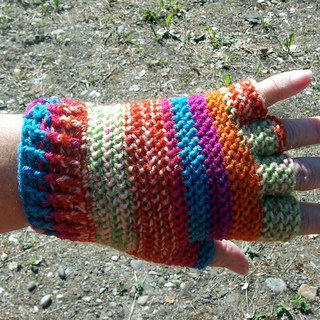 The gloves can be made in two sizes - small/medium (6.5 – 7.5 inches around palm) and medium/large (7.5 – 8.5 inches around palm). 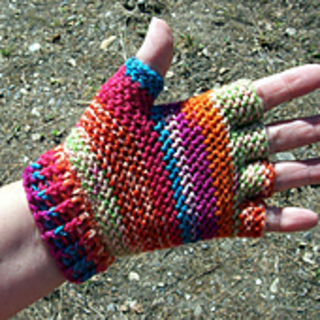 The directions are the same for both sizes; use a D hook for the smaller size and E for the larger. 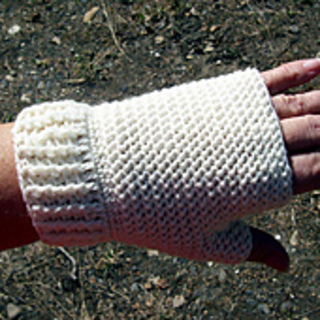 While not overly difficult, the modified half-double crochet (mhdc) may take a bit to become comfortable to work. I recommend taking the time to stitch a gauge swatch both to check your tension against what is listed in the pattern as well as to practice the mhdc. 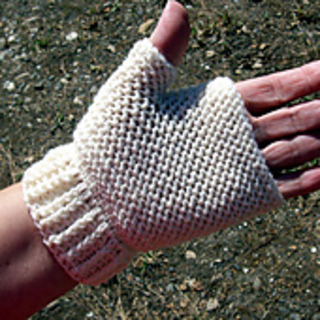 Once you develop a rhythm to creating this stitch, your gloves will be completed quickly!